As deer season has come to a close in just about the whole country, what will you do to pass the time during the lull month of February? Spring turkey season is fast approaching and this fall seems like forever away. However, with all that goes into getting ready for the next season we know it will be here before we turn around. One thing I enjoy doing is trapping predators/varmints. As outdoorsman, we all know the damage these animals will inflict upon our poult and fawn crops. 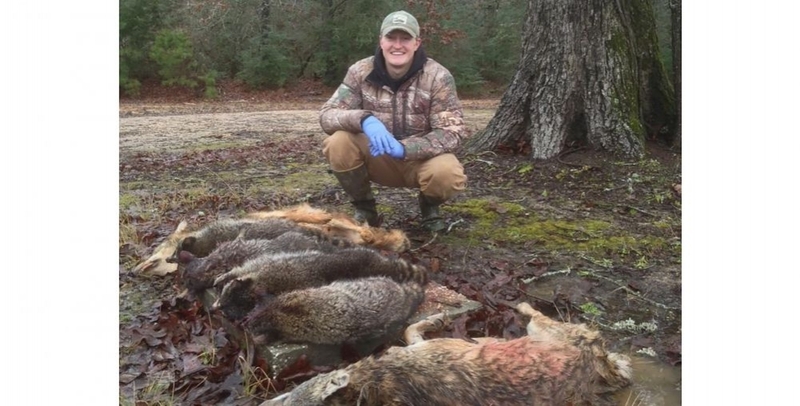 With hens starting to lay eggs in the early part of May and does starting to drop fawns in June, February through the early parts of March are primetime for trapping. For me, the thrill that comes as I pull up to each trap in hopes of a catch is similar to that of a big gobbler coming in full strut or a whitetail bellowing out grunts. Not only is trapping exciting but it is also rewarding. I get just as much satisfaction eliminating predators/varmints as I do taking a trophy game animal. Okay, maybe not that much satisfaction, but pretty dang close! It’s a great feeling knowing that my direct influence is making a difference for the species we all love to hunt. If the thought of not having something to hunt during this lull drives you crazy, then I highly recommend you give trapping a try. It’s gratifying, exciting, and best of all, you will only be making you’re special, honey hole that much better. Good luck and no worries, turkey season will be here before we know it!